If you live in the Jupiter Island area, you’ll be happy to hear that there’s a safe, effective and affordable solution to the problem of head lice at Lice Lifters of Palm Beach Gardens. Please fill out our contact form on this page, so we can get in touch with you. We’ll set up an appointment for you to come to our lice salon, and our experienced technicians will rid you and any loved ones of this annoying problem. 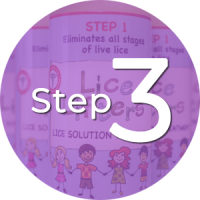 At Lice Lifters of Lancaster, our lice treatment process is second to none in getting rid of lice and their nits. Nits are the eggs of lice, and they are fastened to the base of hair follicles with a glue-like substance that makes them difficult to remove. 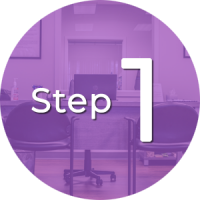 Our process handles both the adult lice and their nits. 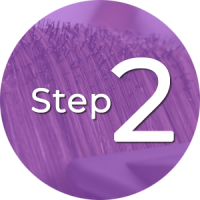 It starts with a thorough comb-out where our experienced technicians remove as many of the lice and nits as possible. We then apply a liquid killing agent that’s very effective at finishing off any remaining lice. This is the first step before we can rid any of your infested loved ones of lice. We’re close by if you’re in the Sinking Spring area. Once we find lice to be present, our trained and certified technicians use a special comb to remove them from your loved ones’ scalp and hair. This is our all-natural, non-toxic, 99.9 percent effective killing agent that mobile services don’t offer that seals the fate of any remaining lice and their nits. When you find a member of your family has head lice, your first concern should be to find a solution to this problem that’s effective. At Lice Lifters of Palm Beach Gardens, our lice clinic provides a treatment process that is second to none in the region. We also excel at providing a kid-friendly environment that is welcoming for your entire family. We’ll keep you and your family entertained while you wait for your treatment, and we can treat all infested family members at once, which makes this a fast remedy as well. A treatment so effective that it’s recommended by many pediatricians and school nurses. We only use safe, all-natural, non-toxic, pesticide-free products. Our experienced and friendly staff give you peace of mind. Payment options include flex and health spending accounts. Mobile services do not have an all-natural killing agent. A check of your hair and scalp to determine the presence of head lice. A thorough combing out of your hair to remove them. Proven products that are perfectly safe for you and your children. Open 7 days a week for maximum flexibility in setting appointments. A play area, movies, cable TV and snacks keep your family entertained while waiting.